Sue the donkey in "Pagliacci"
The last time “Gianni Schicchi” was seen at the LA Opera in 2008, it was doubled up with Bartok’s “Bluebeard’s Castle” and with Schicchi’s ghost hanging over both operas, literally. 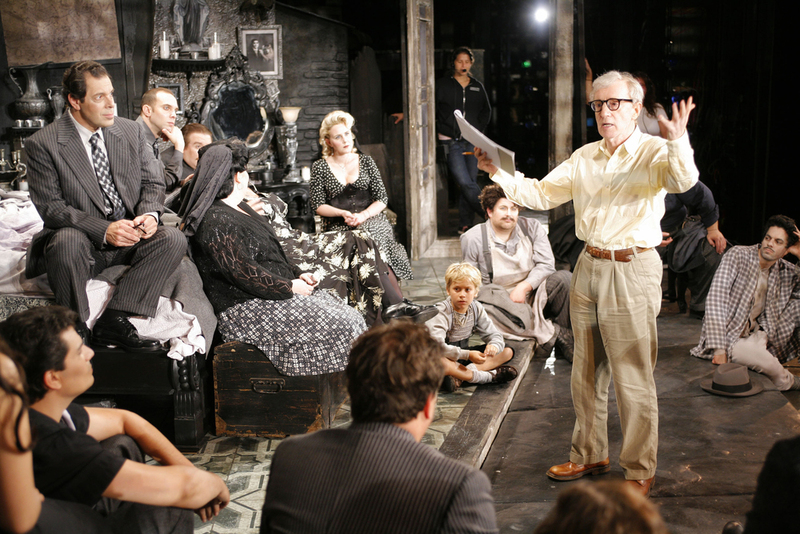 This revival production retains the original’s dimly lit, cluttered sets in keeping with Woody Allen’s black comedy concept. The famous Florence Duomo backdrop is partially obscured by spiral staircases and Donati’s cluttered household. As directed by Kathleen Smith Belcher, the cast of singing actors moved through the scenes with impeccable comedic timing and completely identified with their respective roles. Grant Gershon, LA Opera’s chorus master, took up the conductor’s baton and gave a fine reading of Puccini’s richly nuanced score. Particularly memorable was the delicately played and sung female Trio number that sees the transformation of Gianni Schicchi into Buoso Donati. The music is pure Wagnerian, reminiscent of the Flower maidens chorus in “Parsifal”. Apart from Sue the donkey, the other only possible connection between the evening’s two operas was probably their Wagnerian influences. Like Puccini, Leoncavallo was an admirer of Wagner and it shows in Nedda and Silvio’s Duet in “Pagliacci”, where the longing cello passage that accompanies their words ‘tutto scordiamo’ could have been lifted straight from “Tristan und Isolde”. 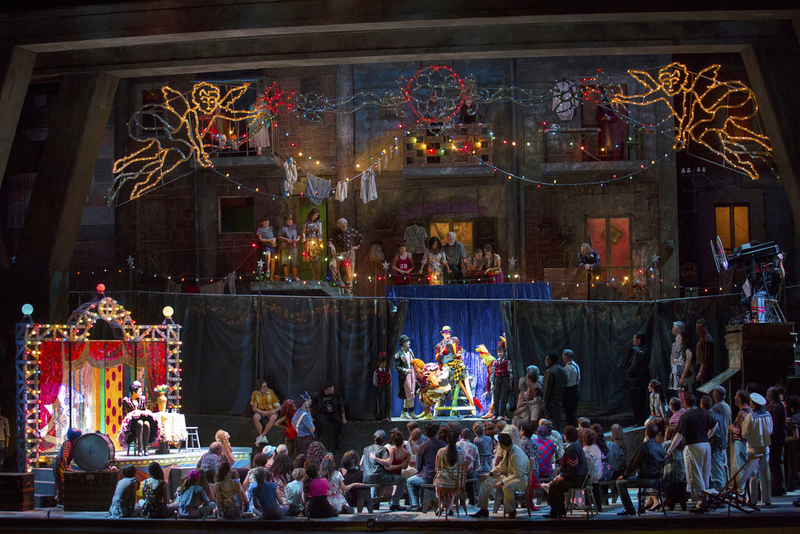 This “Pagliacci” is a typical Franco Zeffirelli production, meaning traditional lavish sets and a crowded stage teeming with lots of extras, fanciful props, costumes and, last but not least, an audience’s favorite mild-mannered donkey. Plácido Domingo proved to be a real company man and got down into the pit to conduct an exciting, at times exhilarating, reading that’s also sympathetic to the singers. Whereas Gershon occasionally allowed the orchestra to overwhelm the singers, Domingo gently wrapped the orchestra around the singers and breathed with them in a perfect rapport. The cast were uniformly top-notch. Soprano Anna Maria Martinez’s dramatic singing as Nedda made up for the less-than-nimble coloratura in the bird song ‘Stridono lassu’. As her secret lover, Liam Bonner was an ardent and suave baritone. Lyric tenor Brenton Ryan was fully in character as Beppe/Harlequin . George Gagnidze, from the Republic of Georgia, commanded a formidable dramatic baritone voice that nearly made a nobleman out of the caddish, vengeful Tonio. Anna Maria Martinez as Nedda in "Pagliacci"
The finest singing of the evening was the Canio of Marco Berti. Hearing Mr. Berti dispatch the celebrated aria ‘Vesti la giubba’ with such soaring power and searing pathos, one was magically transported back in time to the Golden Age of opera, where the likes of Jussi Bjorling and Enrico Caruso also claimed the role of Canio as their own. 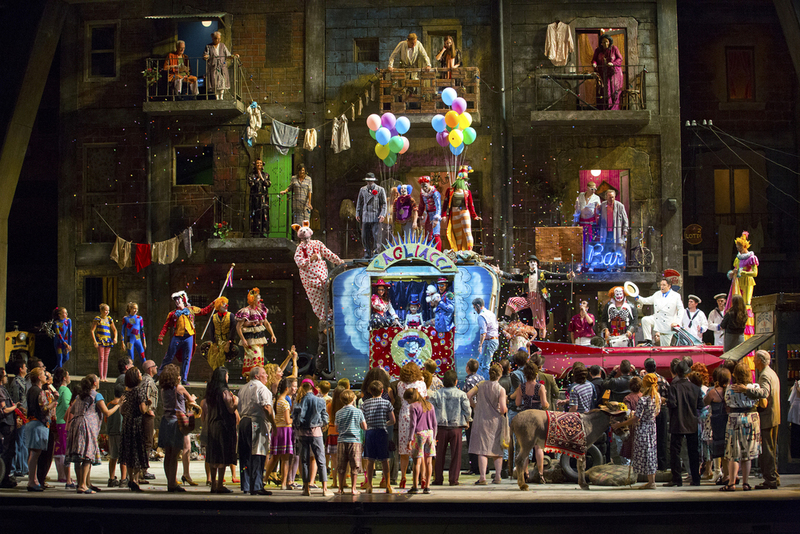 An interesting aside, this well-worn production of “Pagliacci” was first seen in 1981 with Placido Domingo in the title role, and has now come a full circle with Domingo himself conducting another great tenor. Who says opera is a dead art form? The grand tradition continues. Marco Berti as Canio in "Pagliacci."